Visitation Category Archives — Long Island Family Law and Mediation Blog Published by New York, Family Attorney — Law and Mediation Office of Darren M. Shapiro, P.C. Are Children Required to Comply with New York Visitation Orders? Going through a New York divorce or couple split is often very difficult for all of the parties involved, including any children of the divorcing couple. Children are often unwitting parties to the entire process, yet their lives can change significantly as a result. It is not uncommon for children to resist the fact that their parents are getting divorced or separated. Consequently, they may take one parent’s side over the other. When it comes to a New York family law court’s custody orders, however, children are obligated to follow the visitation or parenting time arrangement set forth by the court. While a judge will listen to a child’s wishes in regards to visitation, ultimately the court will consider factors other than the child’s expressed preferences when determining whether visitation with the non-custodial spouse is appropriate. If the court determines that the non-custodial spouse has parenting time or visitation rights, then the child must attend visitation. If a child refuses to honor court-imposed parenting time, courts have several available courses of action, depending on the reasons why the child does not want to participate in visitation with the non-custodial parent. A child of employable age can be deemed constructively emancipated if without good cause he/she refuses to have a relationship with the non custodial parent. But the parent seeking emancipation has the burden. I have previously blogged about constructive emancipation and have represented a number of people in such cases. For example, in one case, the non-custodial parent could have been relieved of their child-support obligation if the child is determined to have “abandoned” the parent, but in this linked case the petitioning parent did not show a lack of justification for the abandonment. In a previous post, we considered a situation in which the grandparents of a child or children sought visitation when the custodial parent was opposed to such visitation. This week, we consider a related, although slightly different situation in which the children themselves have expressed a desire for the court not to order grandparent visitation.As was the case in the previous post, section 72 of the New York Domestic Relations Law and Section 651 of the Family Court Act govern court-ordered grandparent visitation. Under section 72, grandparents who can establish that “circumstances show that conditions exist which equity would see fit to intervene” may obtain visitation rights. While the issue of grandparent visitation can be a complex one, it is governed by a simple principle; as is the case in most New York child custody and visitation matters, courts will do what is in the best interest of the children. Of course, the expressed desires of a child may come into play when determining what is in a child’s best interests, although that will not always be the case. Can a New York Family Court Judge Order Grandparent Visitation? Most New York child visitation cases involve courts establishing the rights and obligations of the parents as they relate to each other. However, New York family law does contemplate a situation in which a court can order visitation for a child’s grandparents under certain situations. This may even be the case when the custodial parents are against the establishment of such visitation rights. As a general matter, section 72 of the New York Domestic Relations Law provides that visitation or custody rights may be appropriate for the grandparents of certain minor children. Subsection 1 deals with visitation rights. This subsection begins by discussing the procedure in a situation in which one or both of the child’s parents have died. However, this subsection also allows for courts to award visitation to the grandparents even in situations in which one or both of the parents are alive, if the court determines that “equity would see fit to intervene.” This second scenario presents a more interesting situation in which the parents of a child are still alive, and at least one parent is against the issuance of visitation rights to the grandparents. Of course, as is often the case in New York family law matters, the court must also determine that grandparent visitation would be in the best interest of the child. When Can a Grandparent Seek Custody in New York? In a 2015 case, Matter of Rumpff v. Schorpp, a New York appellate court heard an appeal regarding grandparents’ rights. The petitioner was the father of two children. The respondent in the case was the children’s mother. Soon after the younger child was born, the Department of Social Services started neglect proceedings against both of the parents, claiming that their drug and alcohol abuse had caused them to fail in providing the children with adequate supervision and guardianship. They agreed to have the children live with their maternal grandmother, also a respondent in the appeal. Later, the grandmother asked for sole custody. The parties stipulated to joint legal custody for the father, mother, and grandmother, with the children physically placed with the grandmother. In 2011, the father sought physical custody of the kids by filing a petition to modify custody. The order continued the prior custody arrangement by the agreement of all the parties. In 2013, the father again brought a petition to modify, seeking sole custody. The family court granted him sole legal custody and physical placement. The mother was given parenting time, and the grandmother was given visitation. The grandmother, the mother, and the children’s attorney appealed this decision. When is a Finding of Emotional Neglect Proper or Not? Supplying the child with adequate education, shelter, clothing, and food. Providing medical, optometric, dental, or surgical care. Giving the child proper guardianship or supervision to reasonably prevent potential harm and risk when possible. When Can New York Grandparents Request Child Custody? In Suarez v. Williams, the New York Court of Appeals, the highest court in New York state, very recently considered a child custody dispute between a child’s mother and paternal grandparents. The child in question had lived with his paternal grandparents between the ages of 10 days old and nearly 10 years old. The father had visitation but lived out of state. The child’s mother lived near the paternal grandparents, eventually in a trailer they bought and put in a trailer park across the street from them. When the child was four, his parents received an order awarding joint legal custody but giving primary physical custody to the mother. However, the child continued to live with his grandparents in a nearby county. The mother then had less contact with her child for two years, until the grandparents again moved her closer to their home. They talked to her about the child daily, and she saw the child on overnight visits and vacations. In 2010, the mother made plans to live with a boyfriend. Two years later, the father tried to get custody and wanted to terminate child support. She wouldn’t return the child to the grandparents, using the 2006 order that gave her primary physical custody. She told the grandparents that they’d kept the child for years, and it was her turn and they couldn’t see him. Can Sibling Children be Split Apart When All Have the Same Custody Wish? The short answer is yes, if the best interests of the children suggests different parents should have custody, as the recent Long Island case summarized below illustrates. Child custody battles everywhere, as in Nassau County, New York can be extremely difficult, both for the parents and for the children. If a couple is not able to mediate and come to an agreement between themselves, the court must often devise creative solutions to highly charged and sensitive problems. 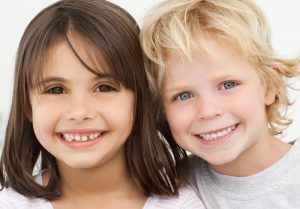 The best interests of the children are of paramount importance to the court when making a custody determination. In Kramer v. Kramer, the New York Supreme Court of Nassau County considered an acrimonious child custody battle, within a divorce, in a dysfunctional family. The couple had married in 1992. The husband mostly worked as a construction supervisor. The wife completed a master’s degree in early childhood education at the time they married and worked for a short period at a Jewish school. After that, she stayed home to raise the kids. The case was filed in 2011. At the time she commenced divorce proceedings, seeking temporary sole custody of the kids, maintenance, and exclusive occupancy of the marital home, she was working as an event coordinator. In the case, the wife alleged that the husband had drained their joint bank accounts and reduced his support for the kids and her. The defendant claimed the plaintiff, his wife, turned the three oldest of his four kids against him. He also claimed she was unstable and had an undiagnosed mental illness. The law in New York is that a non-biological, non-adoptive parent does not have standing to proceed in a court for custody or parenting time. There is, however, a statute that allows grandparents standing to petition for custody and visitation under certain circumstances, which I have previously blogged about. In Debra H. v Janice R., 14 N.Y.3d 576 (N.Y. 2010), New York’s highest court, the Court of Appeals reaffirmed its rule that neither parents by the doctrine of equitable estoppel or people standing “in loco-parentis” to a child has standing to seek custody and visitation or parenting time in court. The rule would be then that biological strangers that have not adopted a child cannot proceed in court in New York for custody and visitation.